What is SEO? In Short, Search Engine Optimization is called SEO. It is the process of getting higher ranking in search engines or increasing visibility of a website/blog or a web page. It can easily skyrocket your online business profit, if you do it properly & wait for some time. There are some webmaster guidelines provided by top search engines like Google, Yahoo and Bing. 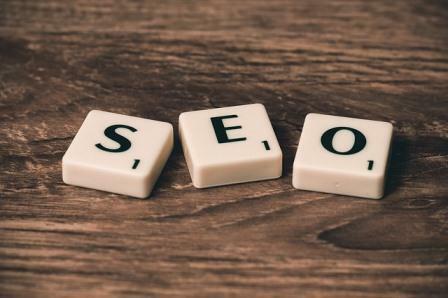 You should follow these guidelines on your website in order to get SEO success in long term. We should optimize our website according to the best practices & methods provided by search engines. If your blog/website do not follow these guidelines then your website will be subject to SEO penalty. The main aim of search engines is to provide high ranking to high quality website and lower quality websites will be ranked lower in search results. Most of the spammers builds low-quality blogs just to earn money fast. But today’s search engines are much smarter than these so called spammer. Their spammy blog will ultimately get lower rankings and in most cases, they will be deindexed from search engines. Why it will happen? Because these type low quality websites do not follow webmaster guidelines and goes indulge in blackhat SEO practices & tries to trick search engines. So giving higher ranking & lower raking is a part of search engine algorithm. My main aim for this SEO guide is to make to really understand “what really SEO is”? Before going to tell your more about it, we will take information about web search engines. What Is Web Search Engine? If you don’t what really is a search engine, I will give you a brief view of the term “search engine”. In simple words, we can say search engine is a web software or system which is designed to find relevant information from web. After doing a search, the results we get are often referred as search engine results pages (SERP). If you wants to know more about how search engine works, you can read this article at Moz. Today Google is most popular, widely used and best search engine in the world. Although people also use Yahoo, Bing, DuckDuckGo, Ask.com and some other search engines to find the results for their search query. Website on the internet get organic traffic mostly from “Google Search Engine”. So you need to properly take care of Google’s Webmaster Guidelines. Most of the webmaster guidelines provided by different search engines are almost same. Let’s now go deep in learning more about Search Engine Optimization. Keywords are the base of any SEO campaign. If you don’t know about the keywords for which you optimized your blog for then nothing will work. You should know the keywords which you want to rank in search engines. These are keywords which plays a vital role in getting conversions. Lets take an example. You have a blog in niche of blogging and you recommend some high-quality products related to the niche include web hosting, WordPress themes, email marketing service and some others. In this case, you should know about the Keywords related to hosting, WordPress themes and others. These are the keywords which will bring targeted traffic to your website. There are many tools for researching keywords for your blog. But Google Keyword Planner is one of best & free tool you can use. The second step in this search engine optimization process is on-page optimization. Perfect on-page optimization can make half of your work easy. It is all about making your website or web page SEO friendly. So that it will rank higher in search engines. Some of the element of on-page optimization we should focus on are title tag, permalink, keyword density, image optimization and some other elements. For more details on this topic, read our On-Page SEO Guide. If you are thinking, how should we do perfect on-page optimization then here is a free plugin. For WordPress user, Yoast SEO is an amazing free plugin, which can help you in optimizing your web page for search engines. Also don’t over-focus on the optimization at web page level. Off-Page SEO is all about optimizing your blog for traffic but outside the blog. After you have written & publish the post on your blog. The next step should be the off-page optimization. In this step, you should promote your published as much as possible to get maximum exposure. In this step, you should share your content in various social media sites, social bookmarking sites, link building, commenting on other relevancy blog etc. If you are in a high competition niche then without off-page optimization , it is very difficult to get higher ranking in search engines. If you are thinking that doing keyword research, on-page optimization and off-page optimization & SEO is over then you are totally wrong. Getting traffic to website through SEO is a long-term process. Search Engine Techniques changes from time to time. Google as a giant search engine is always in the process of improving its search engine algorithm. So you should also learn about changes occurring in different search engines. It will help you in long term. Now go & apply these technique and get more traffic to your blog.